Combining classical Beijing with a taste of natural landscapes surrounding it, this itinerary offers a perfect blend of creative challenges, hikes, and opportunities for service. We start in Beijing city for the must-sees, then move into the mountains around. 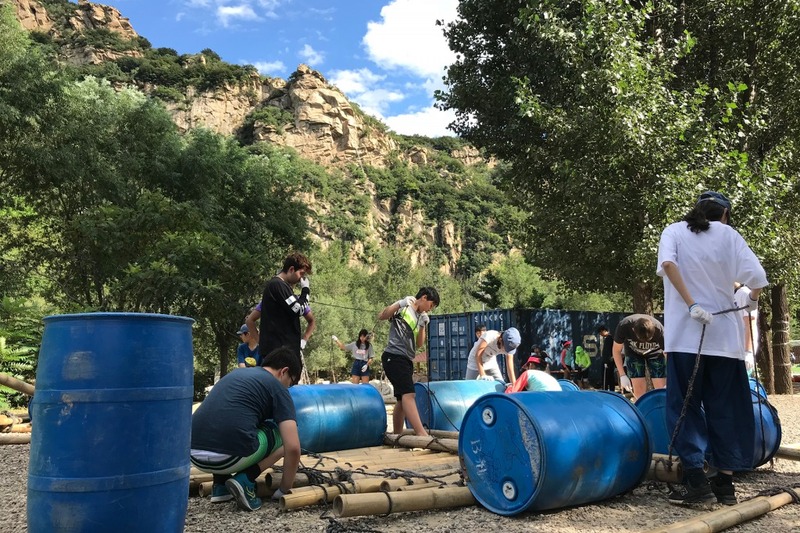 Students participate in an ‘American-camp-style’ program complete with options for survival training, shelter building, camping, cooking, talent shows, raft-building, team building games, as well as a very exciting excursion to do Via Ferrata. Our school trips are completely customizable and can be tailored to meet your requirements. Want to visit Beijing but with a different subject focused themes such as culture, Mandarin, geography, STEM, art or music? Speak to a specialist now to find out which additional destinations, itineraries and are available for this trip. Arrive in the world’s largest city and transfer to your accommodation. After a short trip briefing, transport back in time with a visit to the ancient Hutongs. Participating in a Peking Opera mask painting workshop before finishing the day with an evening Opera show and welcome dinner. Take part in a Kungfu lesson in a local park before putting your skills to the test in a cooking class. After enjoying your delicious creations for lunch, visit the Summer Palace and voyage on a wooden boat across the palatial lake. Finish the day with a traditional Chinese meal of hot pot! Hop on a bus to Huairou on the outskirts of the city. Take part in a Raft Building activity and test your raft out on the water! Spend some time relaxing and trying off before a thrilling visit to the Via Ferrata site. Head to your accommodation located close to the Great Wall. Start the day early watching the unmissable sunrise on the Great Wall. Sketch the view and hike along the wall before heading back into the city. Test your haggling skills at Beijing’s famous Pearl Market. Treat your taste buds to Chinese delicacies at the Wangfujing Night Market before enjoying a Peaking roast duck banquet for dinner. Engage in a half-day school exchange at a local Chinese school. After exchanging welcome gifts, take a tour of the halls and enjoy various activities alongside Chinese students. Say goodbye to your new buddies, trip leaders and guides as you make your way to the airport. Leave excited to apply what you learned, back at home! Creativity; students learn about then paint their own Peking Opera masks, watching Peking Opera, sketching the sunrise on the Great Wall. Last but not least, they will also be thinking about design and construction with a raft building activity. Action; students will be hiking on the Great Wall, taking a Kungfu class, raft building, and challenging themselves with Via Ferrata. Service; Students will be doing a half-day school exchange with a local school for which they have to prepare gifts and a small performance prior to the visit.